This stunning oval vendange (wine-tasting) table hails from the Southwest of France and dates to the late 19th Century. The original poplar top and oak base have been beautifully refinished in a translucent pale grey milk paint that has been coated with a water-proof polymer and then waxed for a soft mellow glow. 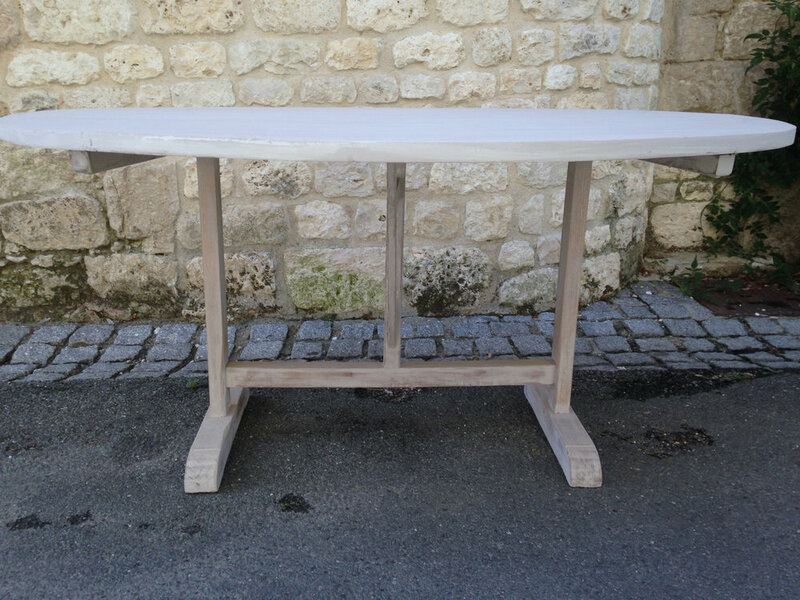 The table has undertones of warm creamy beige, so the overall effect is just beautiful! Perfect for seating six for dining, as a center hall table, desk, or in your wine cellar. 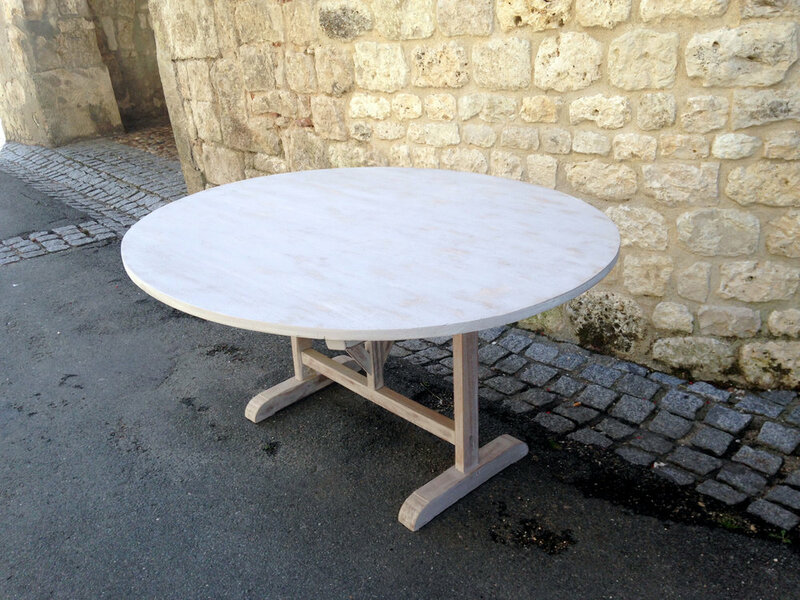 Like most vendange tables, this one has a tilt-top mechanism and is very solid and level.